Such an amazing book! I really like historical fiction novels and this was a very interesting take on the sinking of the Titanic. I thought the book would start out from being on the Titanic and then a long, drawn out story of the sinking, but it wasn’t like that at all! The book centers around Jane, the second oldest of 5 sisters and her life in a town called Spirit Vale. Her mother, and everyone else in the town, are people who can summon, or talk too, the dead. There are a lot of different circumstances that lead to her ending up on the Titanic (but I don’t want to give too much away) and then the sinking is described in about a paragraph. I can’t say why though! You have to read and see for yourself! 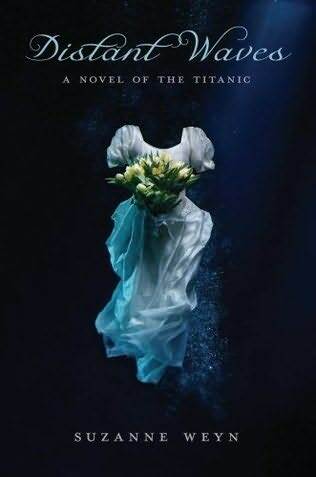 Like I said it was a totally different take on the tragedy of the Titanic, but I loved it! It wasn’t a sappy romance about being abroad the ship either which I liked *cough cough James Cameron cough cough* and it wasn’t completely action filled with racing to find a way off the ship. I would definitely recommend it! I don’t usually find a lot of well written historical fiction books, and it was nice to find that this was one of the few that was extremely well done. I also liked that Suzanne Weyn added a sort of “What’s real?” at the end of the book. You get your own personal, short and sweet, history lesson! Very good book! Check it out!